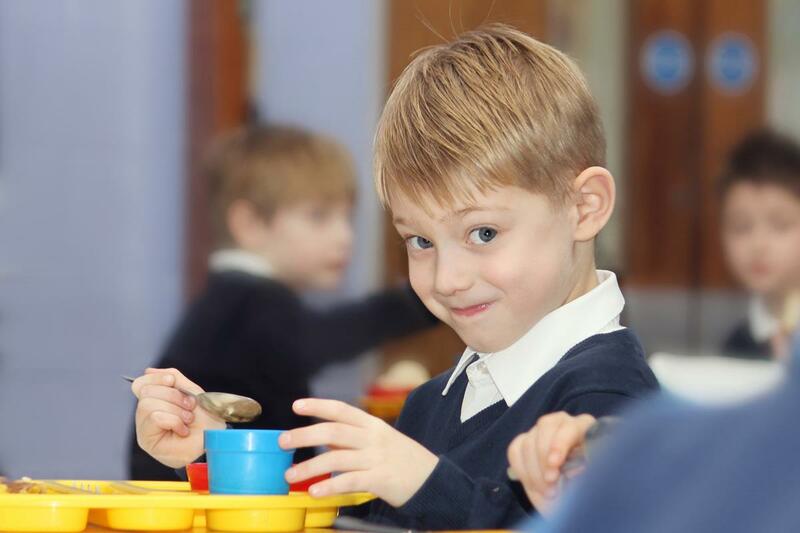 Friends of Clavering is a very active organisation which enables parents to become involved in another aspect of school life. Every parent is automatically a member of the Association. 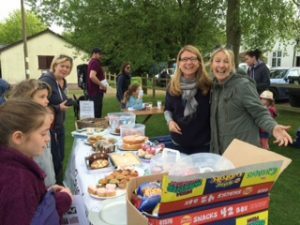 The Friends of Clavering School, through its committee, organises many events such as Summer and Christmas fetes, dances and quiz nights and raises funds for a variety of projects for the school. Happy New Year & welcome back to the spring term! 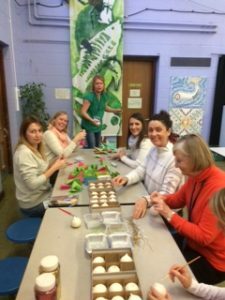 The Friends of Clavering fund-raising team had a busy winter term, with huge support from our parent community and from the children! We hope you all enjoyed your Christmas gifts chosen by the children at their own shopping morning experience! 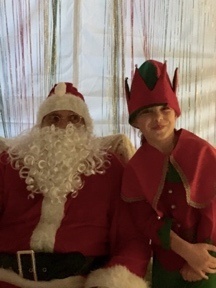 The Christmas Fayre was well-attended & raised approximately £1000, which is fabulous! And we were able to invite Calamity Clown to host our annual entertainment event for the children, whilst the staff enjoyed a well-earned Christmas lunch! As you know, our aim this year is to raise enough money to fund 5 brand new interactive white boards for each classroom and with your support and donations, we have already been able to put in an order for 3!! So well done and thank you, your help is appreciated. 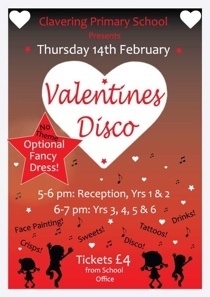 Valentines disco – 14th feb, ks1, 5-6pm, ks2 6-7pm, ticket form will be in book bags. EASTER CRAFT FAYRE – 3rd April; lots of lovely Easter crafts for the kids in the hall! Games, egg hunt and café too! Should you, or anyone you know, ever want to donate to our fund-raising campaign privately, we now have a Virgin Moneygiving page. 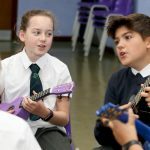 This can be found on the website https://uk.virginmoneygiving.com/giving/ and searching ‘friends of clavering school’ – quiz night tickets can also be bought on this site!! All donations go directly to school fund-raising. 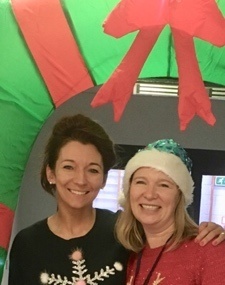 You may be aware that there have been changes to the committee as older members stand down & new members step up; your co-chairs are now Rachel Betts & Andrea Vaughan (see photo if you don’t know us!!) Rachel has run FOC for 5 years now, and is ready to hand over the reins to a new team, headed up by Andrea, from Sept 2019. We are always in need of new committee members, now more than ever, so if you would like to help raise funds for the school, join a fun team & get to know lots of people, please let either of us know. Wishing you all a happy & healthy 2019!! We had a great fundraising year in 2017/2018! Thanks to all your support the PTA managed to raise just over £10,000 which is an incredible amount. Major events in the fundraising year since Christmas have included the Valentines disco, the Clavering Ramble, the school summer fete, and of course the well-attended Prosecco Bar at the village fete! 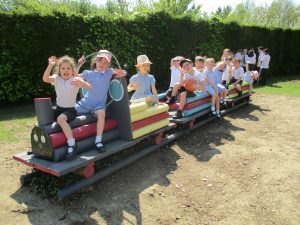 Happily, the new outdoor play equipment is now in situ and has been a huge hit, and the train was renovated in the summer term by volunteer families and their paintbrushes!!! The computing provision across the school has been added to with the extra laptops paid for by funds raised last year. This year, our focus is raising enough to replace the interactive white boards in most classrooms; the ones we have at the moment are dated and many not fit for purpose. These are such an important, interactive teaching tool nowadays, that the PTA feels strongly that we need the best we can afford. Thankyou all, let’s have another great fund-raising year!!! Dear all, welcome back and happy 2018! Thank you for all your support last year!! 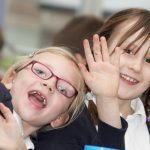 As a fundraising team, we are well aware how lucky we are that we have parents who care so much about their school and get involved with all the events; we could not raise these funds without you! 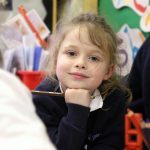 And with recent changes to school funding, it’s more vital than ever that we try to maintain our school’s high educational standards through fundraising. Highlights from last years events included the lovely Christmas Fayre & shopping morning, we hope you were delighted with your surprise gifts; the children had so much fun choosing! We had a fun-packed Halloween disco, with a new DJ on the decks! Some great outfits & dance moves – look out for our next disco on 7th feb. The fun run was a huge success, thank-you for all sponsorship, we managed to raise about £1500. 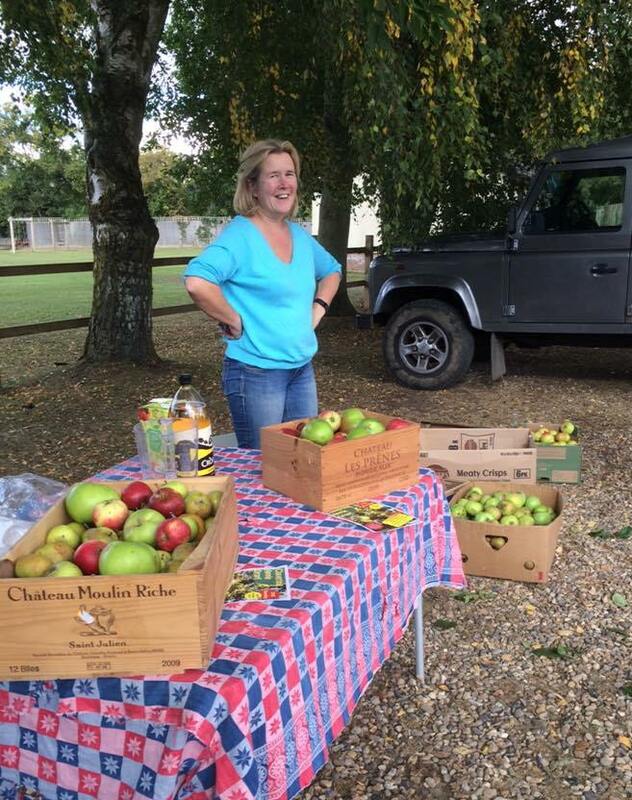 We also sold a lot of Apple juice, and still have some available, either from Rachel Betts, or Rickling Restored; stock up for Easter! Our application for funds for an all-weather pitch has sadly been turned down, but this is ongoing and may well be able to be amended and re-submitted, and In the meantime we have some exciting news; we have raised enough to allow us to start work on the children’s outdoor play area! Miss Allsop has paid attention to the wish lists from all the year groups, and we hope the new equipment will be thoroughly enjoyed, and hopefully in time for the start of the summer term, hooray! Also this year, the school needed to replace old and worn out laptops; the school funds provided for only 5, so your funds enabled us to buy another 5 so a whole class can work together on IT and computer science. 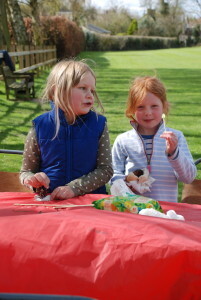 We will also be putting on the much-loved Easter egg hunt for all years on the last day of term. 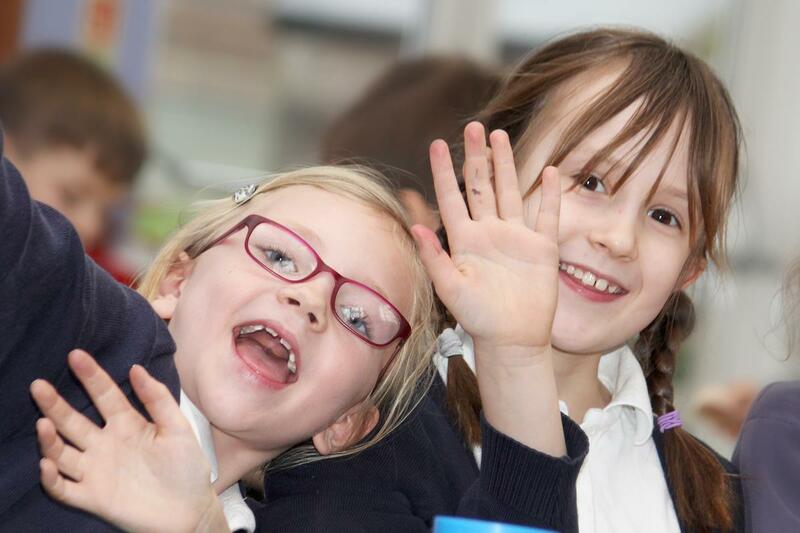 Hello everyone & welcome back to another new year at Clavering school! Welcome especially to our new pupils and their parents! 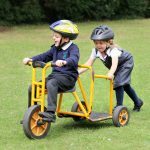 Friends of Clavering School is the school fund-raising team, and we work hard, with your support, to raise money each year for much-needed extra school resources, keeping academic and sporting standards as high as possible. Last year was a great fund-raising year! 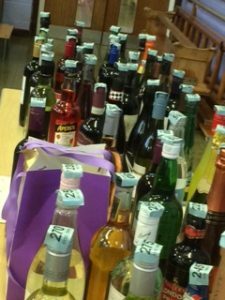 We made just over £11,300, from fetes, quiz nights, film nights, parties for the grown-ups, Apple-pressing, and much more. 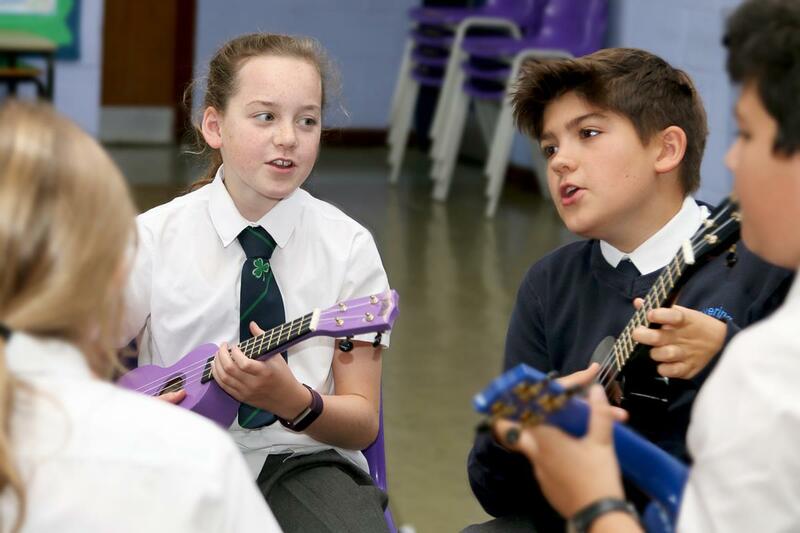 As a result, last year we could give the school over £9,000 much of which was invested in an advanced maths programme & to upgrade class and personal IT resources. When your child tells you about the fun iPad learning they did, remember your money allowed us to provide that opportunity! This year, we are feeling super-focussed and will be aiming high, we will be raising funds for two exciting projects to improve the outside play areas. As you may remember, the dads cycling team started us off raising a huge £16,000 for an ambitious all-weather pitch on the often water-logged, therefore unusable, sports field. The all-weather pitch will cost much more than this. However, we have spent a considerable amount of time working on a grant application with Sport England. If successful, this will fund half of what we need, we would need to raise the funds for the balance, so your support here will be invaluable. Also at the top of this year’s list is replacing the play-equipment. 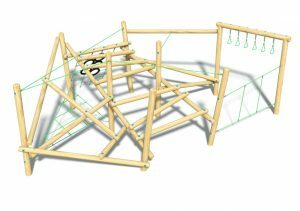 The school has sourced some fantastic new and very fun equipment, and the hugely successful Tipi Party last March has provided a great starting fund-pot; however, to get the best we can, we are still fund-raising for this project, but hope to see something in place very soon. 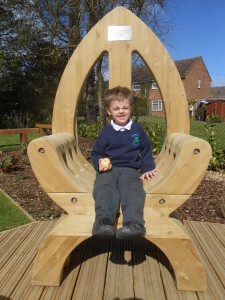 We have many exciting events coming up, many of which are loved by the kids, (fetes, Christmas shopping morning, Christmas cards, film nights); many of which provide social interaction opportunities with other parents, (quiz nights, parties, Christmas drinks); and some which invite the local community to support the school, (Apple drop, Tesco fundraising, bag2school, Clavering Ramble). We need your support ladies and gents in any way you can; fill those jam jars with joy, buy those beautiful hand-drawn Christmas cards, get a table together for Quiz night and have a giggle or simply turn up to events and enjoy. ). We are always grateful for any help offered. Autumn Term – Thanks to everyone’s support last term we raised just over £3,000 from a variety of events. 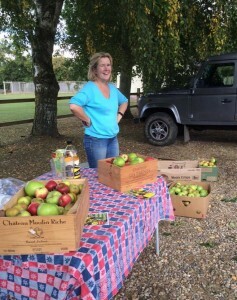 New to our fundraising was the Apple Drop, using donated apples from the village, we pressed 350 bottles of delicious apple juice all of which were sold before Christmas raising almost £200. The 2017 Lucky Lotto is here, last year we raised £400 for the school. There are 100 numbers and 10 times a year at Friday assembly 3 numbers are drawn. First Prize £20 Second Prize £10 Third Prize £5. Last year £350 was won by parents and pupils! Numbers still available for 2017, the winning numbers are drawn on the last Friday of each month. 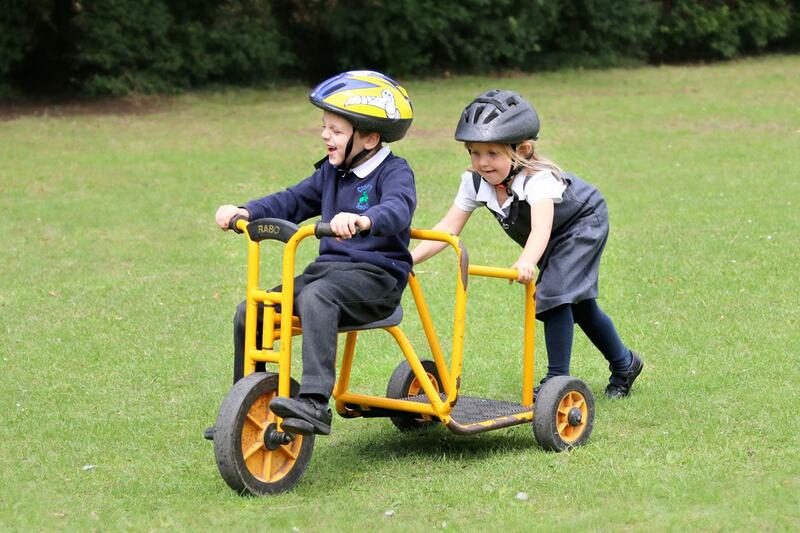 Multisport play area: This is an ongoing project, the School and Governors are applying for a number of grants to supplement the money raised by the 2015 cycle ride to meet the cost of the project. This process can be time-consuming and further fundraising will be required to meet the full costs. 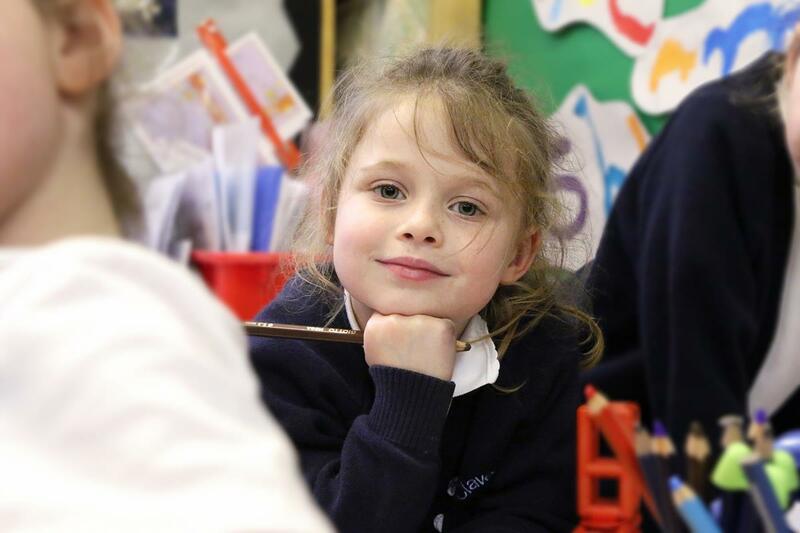 This year: We have been asked to help the school with further improvements in the schools IT (interactive whiteboards and laptops), Wider Ops, renovating the Reception play area, and replacements to playground equipment including the Monkey Bars. 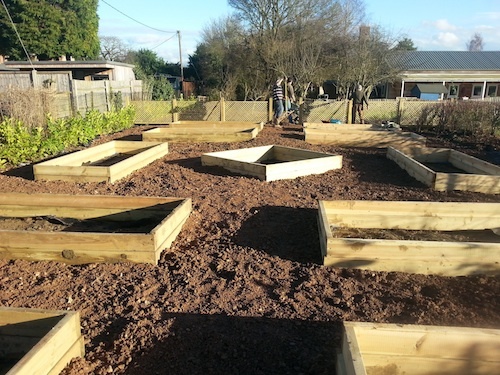 Councillor Oliver who delivered a donation of £1,000 from his ward members initiatives pot – £500 now and £500 in April to complete the outdoor pond area! Donation for new playground equipment from Sharon Dyster, on behalf of Clavering ladies from Xmas night out ! 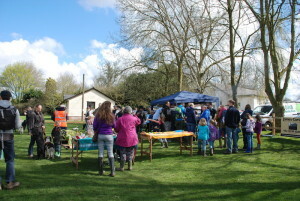 The term got off to a fine start with the Clavering Ramble on 17th April, joint fundraiser with the Preschool. Thanks to our sponsors and supporters we raised £1,300. We hope to organise another Ramble in the Autumn as there has been so much positive feedback about this event. Children, staff, parents, along with key people that helped to create the area, gathered to open the new outdoor learning area, incorporating a stunning new allotment garden complete with reading circle/outside learning space, orchard, wild area and pond. 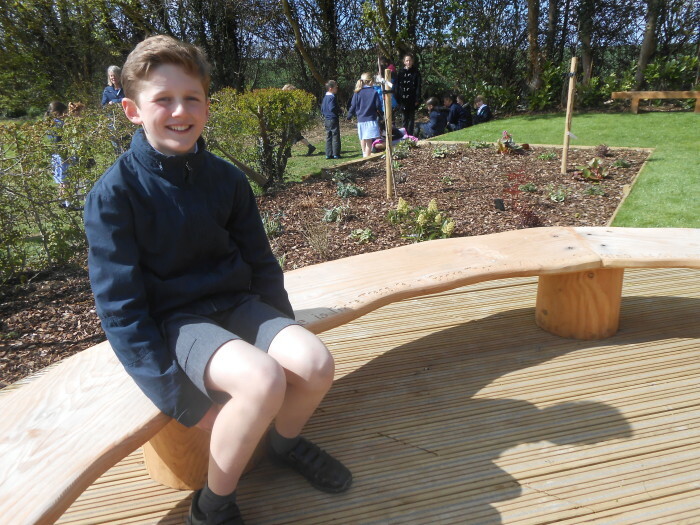 After speeches from Mrs Allsop, Julian Hall (Chair of Governors) and Sonja Phipps, a child from each class, together with Sonja, cut the ribbon to open the new learning space. The school and visitors then took part in a tour of the area followed by refreshments provided by the kitchen. The children are very excited about the new area and are keen to start working on their new allotment beds. So far our Lotto has raised £350! If you wish to enter the draw at any point please contact rachelbetts@diddidance.co.uk. Now £8 per number for the remainder of the year till December. Congratulations to the McNaughtons, Kochers and Liddles who won last month. The winning numbers are drawn on the last Friday of each month. Fun Football Day – Monday 23rd May – A new event for all school children, costing £2 per child, bring in your own kit, have an hour of football fun and games with Saffron Walden’s Matt Snelling and Craig Dyce during school time ! All proceeds put towards new school team kits. Queen’s Birthday Celebrations – tea party for all the children 2-3pm, food and drinks provided by FOC – Friday 10th June – volunteers wanted to help ! Please don’t forget EASYFUNDRAISING when you shop online for holidays, food, insurance, trains, flights and a host of other products. Your shopping can help to raise money for our school effortlessly, you can find the website here www.easyfundraising.org.uk, please sign up. So far we have raised £984.21 for the school. 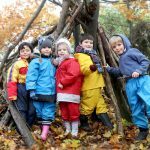 We are delighted that the ERNEST COOK TRUST has decided to support our Forest School programme again with a very generous grant. The money enabled us to train Wendy Berrett as a Forest School Leader and as a qualified First Aider. This means we can offer Forest School to years 2 to 6 again. These children and teachers have missed it and will love being back in the woods. 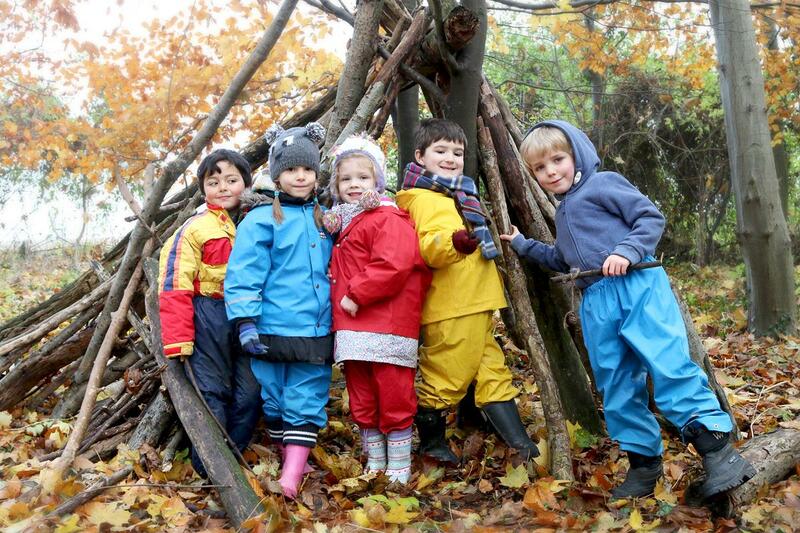 The grant will also cover new waterproof outfits for the younger children. Friends are delighted to announce we raised £2,485 – thank you to all our helpers throughout the term and for your continued support at our events. 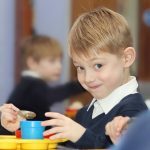 We will continue to support the School with the classroom resources they need and to improve the playground with new equipment, such as an outdoor table tennis table, the reading circle and creating the allotment area. Work has already begun on this area, have a look when you are next at school. 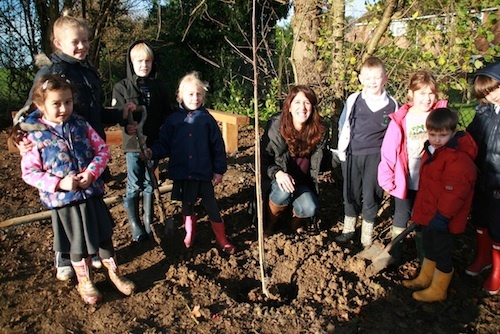 Last term we secured a grant some trees and some of the children helped to plant them out on National Tree Planting Day 4th December.  29 January BURNS NIGHT SUPPER – At St Margaret’s Church, Wicken Bonhunt. Tickets £15 from the school office.Homage to Burns, drinks, dinner and dancing with a touch of tartan!  12 March QUIZ NIGHT – At Clavering Village Hall from 7.30pm, tickets are £12.50 from the school office, price includessupper.  Launching next week our own school lucky lotto. Buy a number for £10 which enters you into 10 draws in the calendar year. Details of cash prizes and how to enter will be in the Friday folders next week. 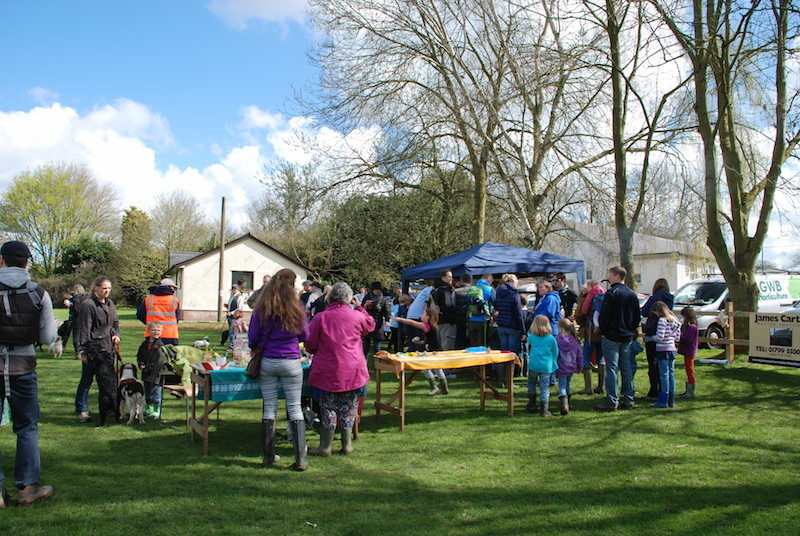 After the success of last year, we will having our second Ramble – join us on a circular 2 mile family walk from Clavering Village Hall with BBQ and children’s activities. The social event of the year! At the Jubilee Field, this years Circus theme will have a vintage Big Top, live performers, delicious 4 course meal and much more. Contact Jo Harris and Hayley Joseph for details.  Cricket Match – Clavering vs Chrishall – summer term A fun event for dads and cricket playing mums! Let us know if you play cricket and want to join the team! 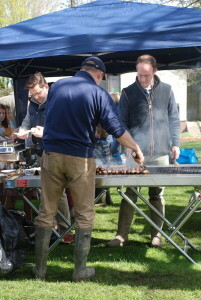 There will be BBQ and cream teas and fun activities for the children. This will be a unique fundraising day for dads at a local golf course using vintage equipment and includes a delicious lunch. So far we have raised £845 for the school, please sign up. Thank you everyone and a Happy New Year! Please let us know if you can help us at events or have good fundraising ideas you can share. Friends are delighted to announce we raised over £9,000 last year – thank you to all our helpers throughout the year and for your continued support at our events. £100 to each class for new resources – such as cameras, CD player, play equipment and watercolour paintsFundraising goal for this yearWe will continue to support the School with the classroom resources they need and to improve the playground with new equipment, such as an outdoor table tennis table, a reading circle and establishing an allotment area. 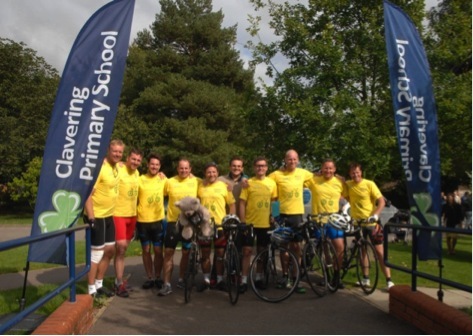 BIG CONGRATULATIONS to the C2C Cycling Team, who have so far raised £16,000 for our playground improvements – what an amazing achievement cycling 270 miles in three days and what a fantastic amount raised. Enormous thank you to those school dads – Jimmy Hill, Tom MacFadyen, Nick Westoby, Ross McNaughton, Paul Dyster, Jon Hood, Simon Elphick, Paul Birch, Dom Crabb and not forgetting Mr Craig Dyce.